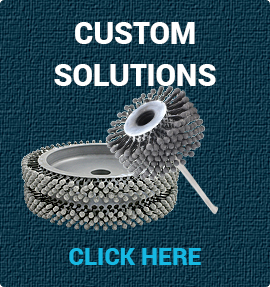 When your application calls for surface finishing, cleaning, deburring and removal of paint, rust or other contamination, wheel brushes are the perfect solution. 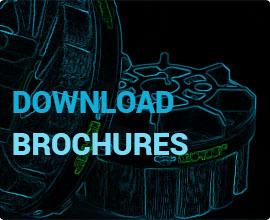 Our abrasive nylon wheels are manufactured in a variety of abrasive and grit selections as well as different diameters. 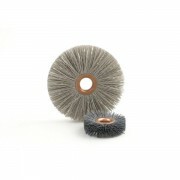 CY Series Copper Centre Abrasive Nylon Wheels. Available in 1" - 4" diameter. 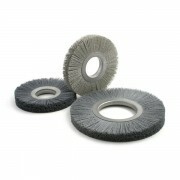 ..
NY Series abrasive Nylon Fill Wheels. Available in 6" and 8" diameter. 6" wheels have a 2" arbor hole / 8" wheels have a 3 1/4" arbor hole. See "Accessories" for adaptor plates. ..